For their third album, Unholy Savior, seems to have merely pushed the 'repeat' button. It sound much like the previous self-titled second album. But, it you have a good thing going, why change? 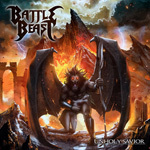 If anything, and I'm merely spitballing here, the riffs seem thicker and heavier, embellishing Battle Beast already bombastic sound. The keyboards also seem to have a slightly larger role, with a few more solos alongside adding to the bombastic character with symphonic touches. The vocal harmonies remain impressive, almost choral at time like within Madness. Vocalist Noora Louhimo, as usual, in competition with the music, fights to rise above it. More often than not she goes screamo to achieve that result. Alternatively, when the music is dialed back, as with Sea of Dreams, Louhimo does the same, when she should have elevated herself a bit more. Yet, it does display that she has some range to her vocal repertoire. A better song that captures her strengths is Touch In The Night. 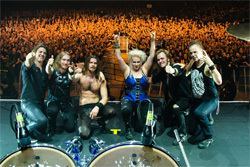 The song strays from the typical Battle Beast power metal for more melodic metal with a rock groove. Louhimo's voice is straightforward, melodic, without going screamo. The tune might also suggest what ABBA would have sounded like if they had a heavy metal period. 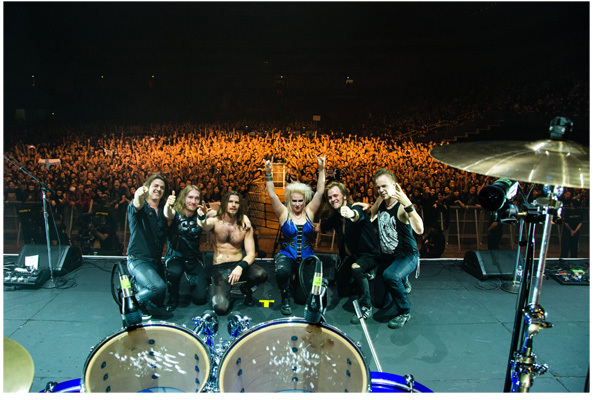 At the end of the day, Unholy Savior is mostly Battle Beast being themselves, offering bombastic, over-the-top, and outrageous heavy power metal.